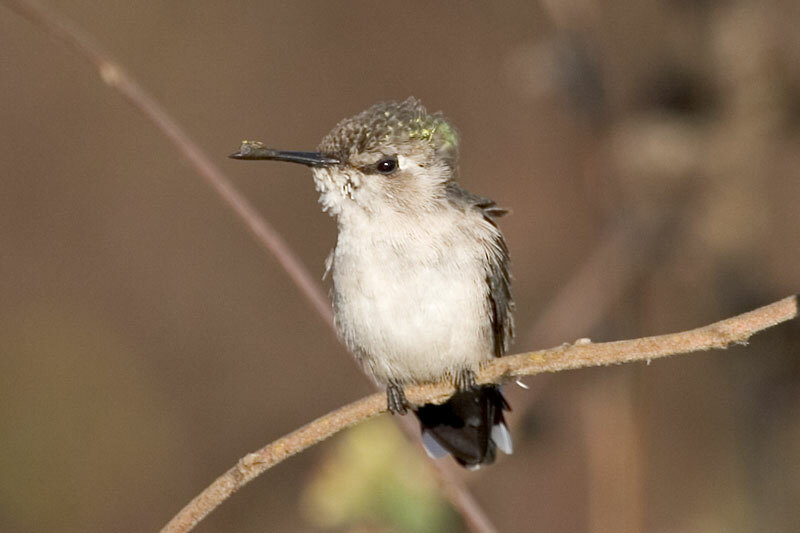 The male Bee Hummingbird is the smallest known bird in the world. The female, pictured here, is slightly larger. 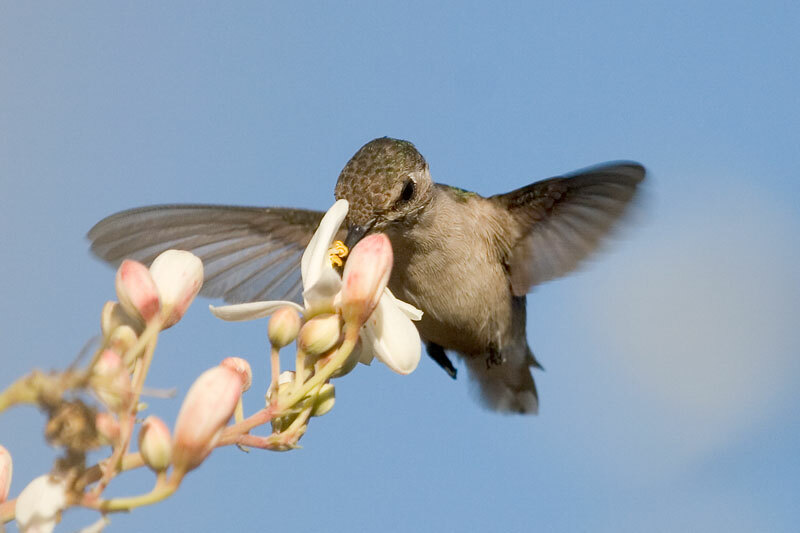 It is endemic to Cuba and classified as Near Threatened. It is found in dense forest and at woodland edges so is now confined to a few areas of suitable habitat. 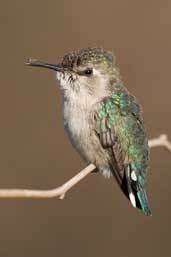 The female has a blue-green back, pale grey underparts and white tips to the outer tail feathers. The breeding male has a bright red to pink head, chin and throat. 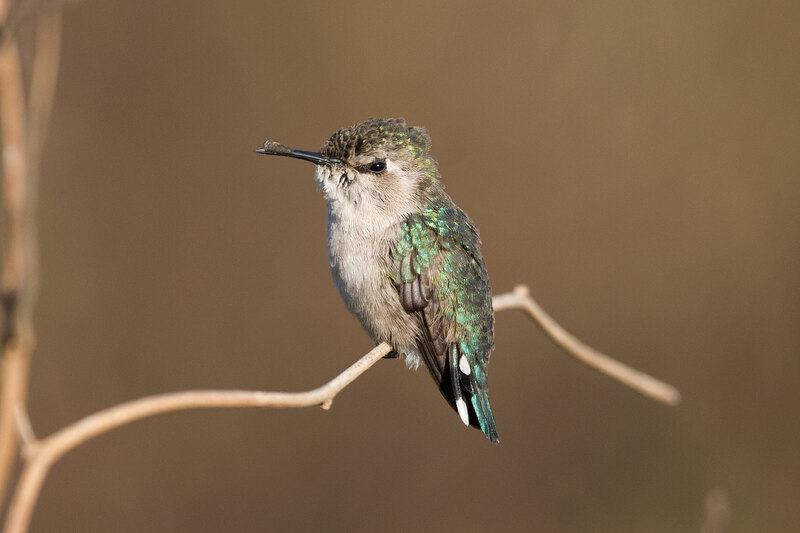 The non-breeding male looks like a female but has black rather than white tips to the tail feathers. It feeds on nectar and insects and this bird seems to have something, possibly pollen, stuck to the top of its bill.